The Anderson Group is a family company. We take service seriously, so when you contact us, you’ll most likely speak directly to one of our partners—or to the heads of our support teams. I’ve been a tenant for a number of years. The building is impeccably maintained and the staff is great and so pleasant. You never have to ask a second time for anything! I credit The Anderson Group with being part of my business success. Willard “Andy” Anderson is a NYS Licensed Real Estate Broker who has been a partner with the Anderson Group for more than twenty years. 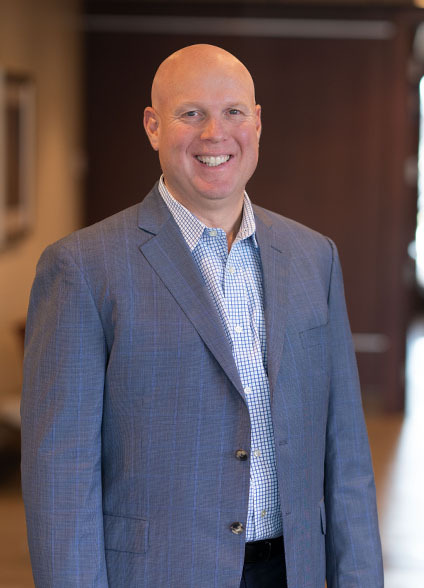 Not only does Andy have extensive experience managing the finances and operations of a business, but he also has experience working directly with high profile tenants such as CSX, Lockheed Martin, M&T Bank, Xerox, Turner Construction and more to provide for their space needs. 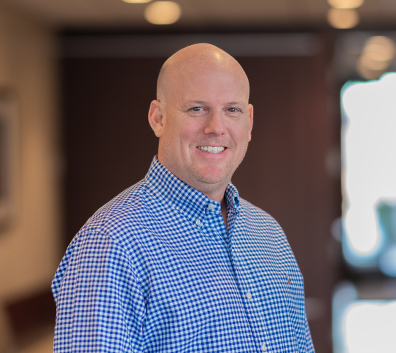 “I really like the people I work with, and our tenants are like extended family to me.” With the help of a devoted team, Andy and the rest of The Anderson Group create a true culture of service, responsiveness and caring. “We take pride in the personal relationships we build with not only our employees, but with our tenants, vendors, and contractors.” Being detail oriented, Andy enjoys being involved in every aspect of the business because it allows him to develop relationships with the tenants, understand all sides of a project, and be more dedicated to the task at hand. He holds a B.S. in Finance and a M.B.A in Professional Accounting from Siena College. Outside of the office, Andy enjoys golfing, reading, skiing, playing and coaching lacrosse, and spending time with his wife and two children. He loves watching his son play lacrosse and watching his theatrical daughter sing and act. He is also a parent to three dogs and two horses! In his other spare time, Andy gives back to the community through local non-profit organizations. His most recent work is with Saint Gregory’s School as the President of the Board of Trustees. Greg is a NYS Licensed Real Estate Broker who has been a partner with The Anderson Group since 2003. Using his extensive expertise with municipal permitting, he helps the initial processes run smoothly by supervising building construction and renovation operations, such as replacement and upgrading of mechanical systems in all of the tenant buildings. 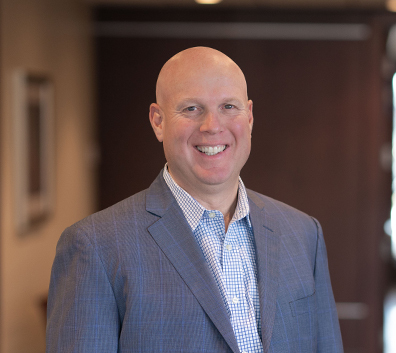 Besides mechanical knowledge, Greg also shows proficiency in zoning, comprehensive planning, environmental compliance, fair housing, neighborhood relations, and smart growth and traffic mitigation, making him a well-rounded and informed member of the Anderson team. 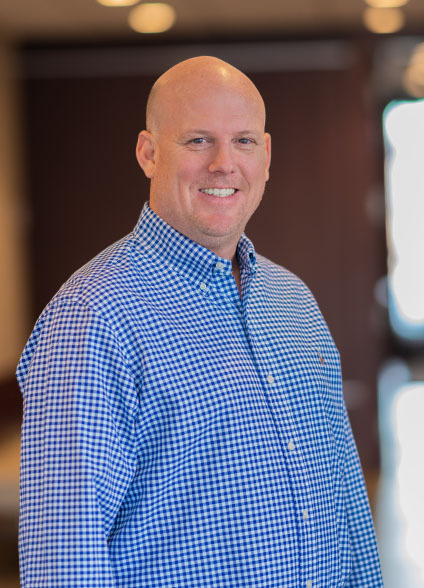 Greg loves working in a family business and takes pride in the great condition of The Anderson Group properties, whether it be the manicured landscaping down to the stripes on the buildings’ parking lots. “Knowing that we provide an environment that helps project a professional image for our tenants to thrive is very gratifying.” In the day to day, Greg typically deals with routine check-ups and facilities issues; however, to him his most important role is ensuring important business decisions are balanced with input from the family’s youngest and brightest member! Greg’s passion for technology can be seen outside of work as well. He loves gadgets and enjoys capturing photos and video of his family’s travels and adventures. Susan Anderson Touhey is long-standing partner with The Anderson Group, a NYS Licensed Real Estate Broker, and she holds the designation of Real Property Administrator (RPA) from the Building Owners and Managers Institute International (BOMI). 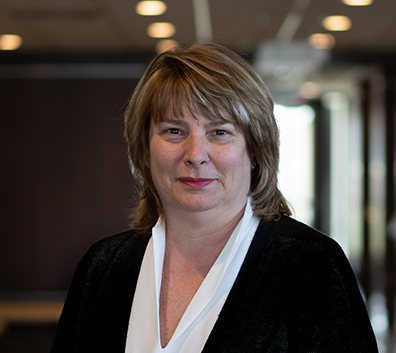 Susan is well versed in every aspect of property management, building operations, and tenant relations. As the primary contact for all of the two-hundred plus tenants that The Anderson Group caters to, she enjoys interacting with tenants and creating personal, long-lasting relationships with them. 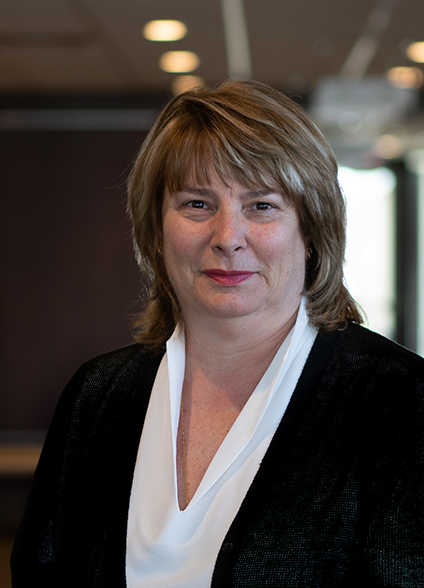 Susan prides herself on being an efficient leader of the team. She has served on the Board of Directors of the Commercial and Industrial Real Estate Brokers Inc., held a position on the Albany-Colonie Regional Chamber of Commerce Board of Directors, co-chaired the Wolf Road Business Council, and served on the founding committee to design, build, and manage The Crossings, a 130-acre passive park in Colonie. These skills and experiences shine through her work as one of the major decision makers for The Anderson Group. Hearing that a tenant loves their new space and that The Anderson Group staff did fantastic work is what makes her love her job and the people she works with. When Susan isn’t helping to manage operations in the office, she enjoys gardening, working on jigsaw puzzles, reading and most of all spending time with her family. Like her brother Andy, she too has a sweet spot for animals. She volunteers as treasurer for Friends of the Saratoga County Animal Shelter, and she is well-known around the office and her home as the “go-to person” when there is a dog or wildlife related issue. Randy has been part of The Anderson Group for more than 28 years. After receiving a BS in Landscape Architecture from Ohio State’s Knowlton School of Architecture, he began his career in Landscape Architecture, working for several Capital District Landscape Architecture and Engineering firms. Projects of note include the site planning for numerous businesses and developing master plans for universities and several naval bases. 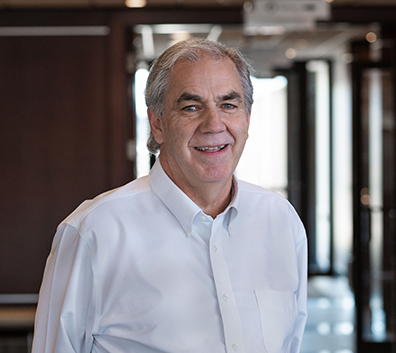 While at the Anderson Group, Randy has been responsible for developing floor plans, construction estimates, managing construction projects for numerous tenants and managing tenant build-outs. Randy finds that the most rewarding part of designing is developing client relationships and by bringing the clients office space needs to life. 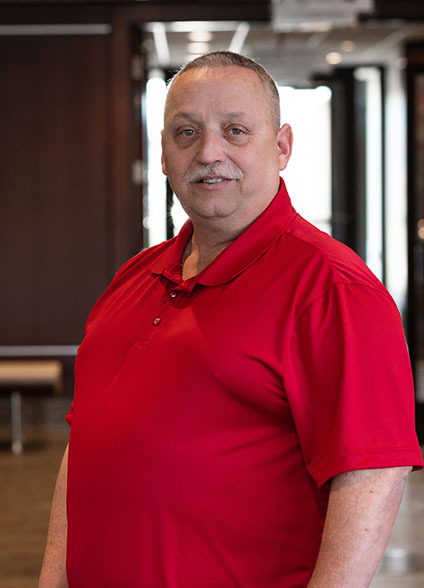 Raised in Warrensburg, New York, Randy has lived for many years in the village of Ballston Spa and works part-time as the Village Building Inspector. When not working, Randy enjoys spending time with family, golfing, fishing and rooting for his Buckeyes. 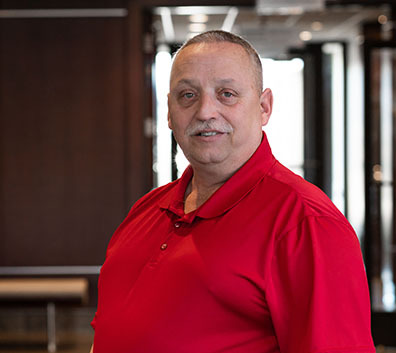 Born and raised in the Albany area, Dave is a devoted member on The Anderson Group team. He joined Anderson as the Maintenance Manager in 2011 after a long history working in emergency services. He served more than 20 years with the Slingerlands Fire Department, as well as on the search and rescue team on 9/11. The welcoming work environment allows Dave to not only commit himself to his job, but to also enjoy the work he puts in. He loves that every day is different, every challenge is different, and no matter if he’s helping with snow maintenance or other nitty gritty repairs, he takes pleasure in taking care of the tenants just as The Anderson Group takes care of him. Ty has been the housekeeping manager for The Anderson Group since 2007. 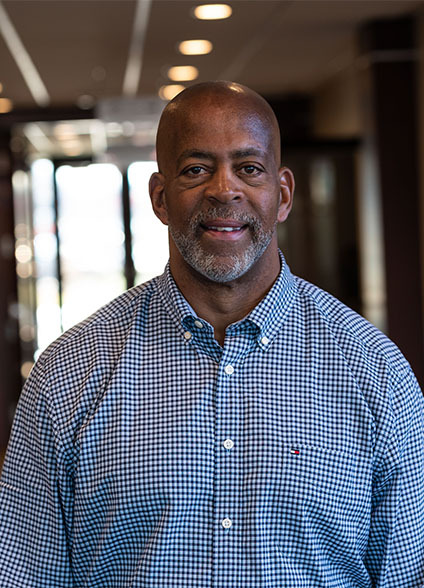 After studying business at JCA as a student athlete, Ty has been trained in many areas of safety and janitorial best practices, OSHA safety, Green Certification, information security training, blood born pathogen training, safety awareness certification, and more. 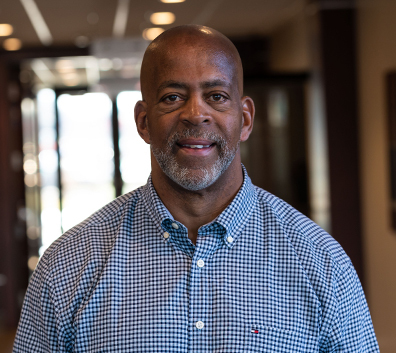 He has always had a niche for keeping everything clean and sterile from a young age, and now with more than 25 years of experience, Ty has practical janitorial knowledge in a variety of fields, including medical and manufacturing environments, and Class A office spaces. 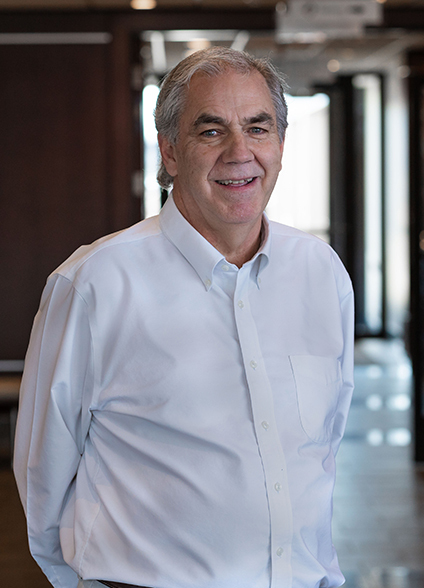 In his many years with The Anderson Group, Ty has helped the company become greener, reduce its costs, and improve its productivity. He boasts that he has been able to maintain high employee retention rates and has made significant improvements in the upgrading of inventory and equipment. Part of the reason he enjoys working with The Anderson Group because of the flexibility that he has to run his department. He appreciates the supportive environment and the “firm, fair, and consistent” values of the company that align with his own.